Cambridge, UK, September 28, 2017 — XJTAG®, a world leading supplier of boundary scan technology has launched a major update to its flagship software, XJDeveloper. XJTAG v3.6 includes several new productivity and automation-focused enhancements, allowing engineers to setup tests for even the most complex boards in significantly less time. 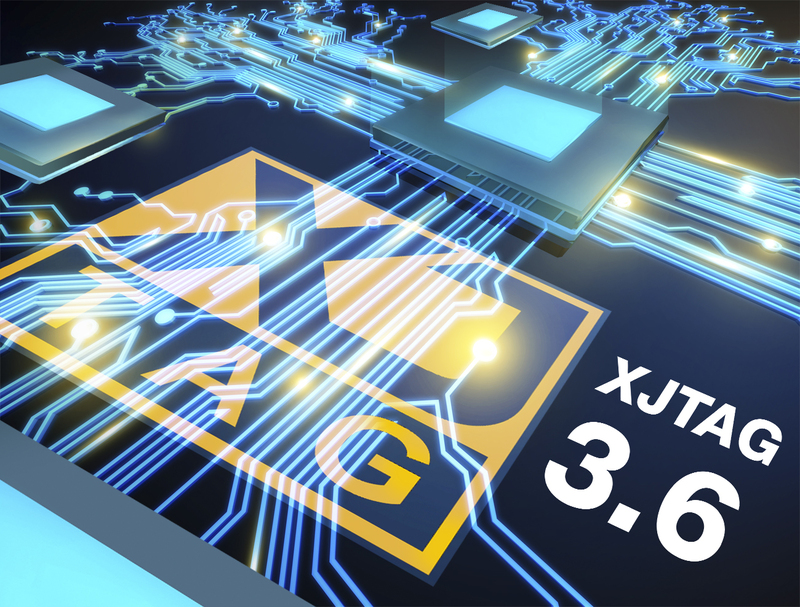 XJTAG’s unified test and programming IDE, XJDeveloper, is an intuitive development and debug environment that makes it quick and easy to set up and run JTAG tests, detecting faults on high-density boards without costly test fixtures or functional testing. The v3.6 release incorporates a new documentation feature in XJEase files so that users can label methods in the XJEase file which can be allocated to testing specific saved devices. These labels are used by the ‘automatic test list creation’ feature to further accelerate test setup. From now on, there will be no need to create test groups for each type of device and manually add the test function for each individual device to the relevant test group. With the new v3.6 release, CheckChain and Connection Test are automatically added to the test list when a new project is created. When a device is categorised, XJDeveloper will find its relevant test function and add it to the test list. The test list can also be populated at the end of a project setup via the “Suggest Tests…” button. The automated matching allows faster board set up times. The new global built-in test functions RUNSVF and RUNSTAPL simplify the running of SVF/STAPL files which is especially beneficial for in-system programming of CPLD/FPGA using these types of file. The built-in character of these functions allows a noticeable simplification of the programming process. In response to customer feedback, XJTAG now allows users to specify arrays of the built-in XJEase types (INT, STRING, FILE) to make operations much easier to program. The introduction of arrays in v3.6 significantly improves the readability, making it more user-friendly and having a positive impact on time taken to write and maintain tests. Version 3.6 of XJTAG adds views of the call stack and of the currently-set breakpoints to the XJEase debugger in XJDeveloper, completing its debugging capabilities by enabling a view of the stack of functions which have been called to get to the current point in the code, and allowing the user to easily view and remove breakpoints from the code. This update of the XJTAG Development System is now available to all customers with a valid maintenance contract. Full-featured free trials with free board set-up are also available to new customers. To find out more, visit www.xjtag.com or contact us at enquiries@xjtag.com. 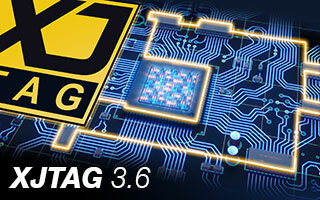 XJTAG is a worldwide leading supplier of IEEE Std. 1149.x compliant boundary scan tools, which focuses on innovative product development and high quality technical support. The company has its headquarters in Cambridge, UK and works closely with over 50 experienced and professional distributors and technology partners across the globe. XJTAG delivers a diverse range of boundary scan test solutions for clients across a wide range of industries, including aerospace, automotive, defence, medical, manufacturing, networking, and telecommunications. More at www.xjtag.com.